The fifth wall, otherwise known as the ceiling is often forgotten in decor. It is one of my favorite places to inject some personality into a room. Now in this post, I'm going to show you some ideas on how to jazz up your current ceiling. Of course if you were doing a major remodel or a new build the sky's the limit. Let's explore a few ways you can get rid of that white wall and add some wow to your room now! Stripes are especially fabulous on the ceiling in a nursery or child's room. 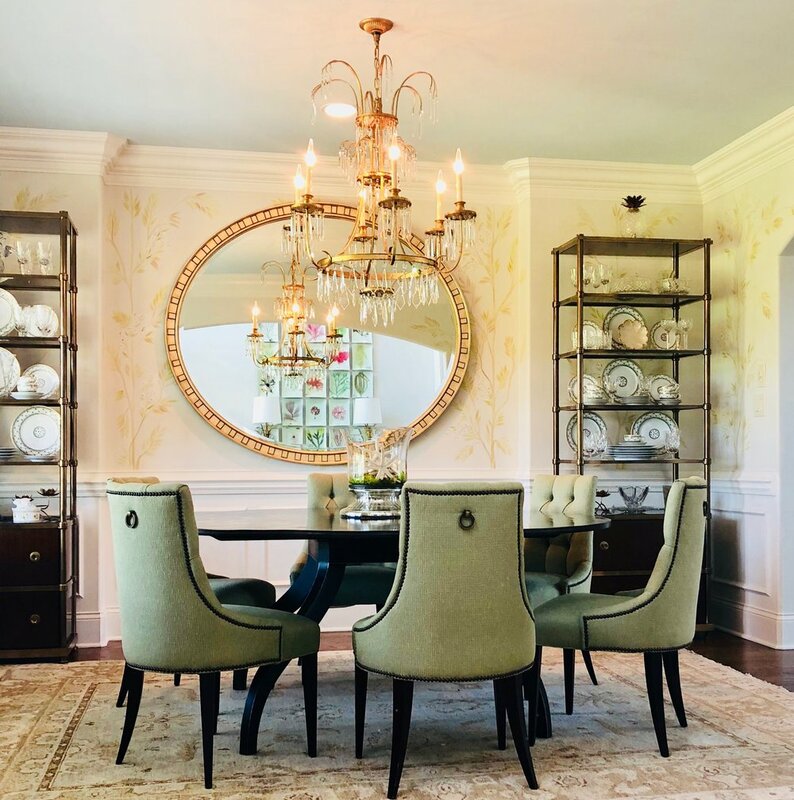 A very lucky little girl lives in this beautiful room designed by Tori Alexander of Alexander Interiors in Nashville, Tennessee. Photography by Leslee Mitchell. The angled striped ceiling with the tassel detail is the star of the show! Who wouldn't want to sleep in this tented cocoon. I am not a red person, but this room by Katrin Cargil is so fun, I couldn't resist sharing. I simply painted my ceiling Benjamin Moore's HC 147 half strength. I love the soft blue. It adds just a hint of color and really highlights my chandelier. Just painting the ceiling is an easy DIY project you can do in a weekend. Now Lacquoring a ceiling, while totally FABULOUS as seen below, is a whole different undertaking. It is definitely a job for a very qualified professional and be prepared to pay for it. But if WOW is what your looking for, well worth the investment. I love the depth and texture this navy grasscloth gives this crisp comfortable sitting area. 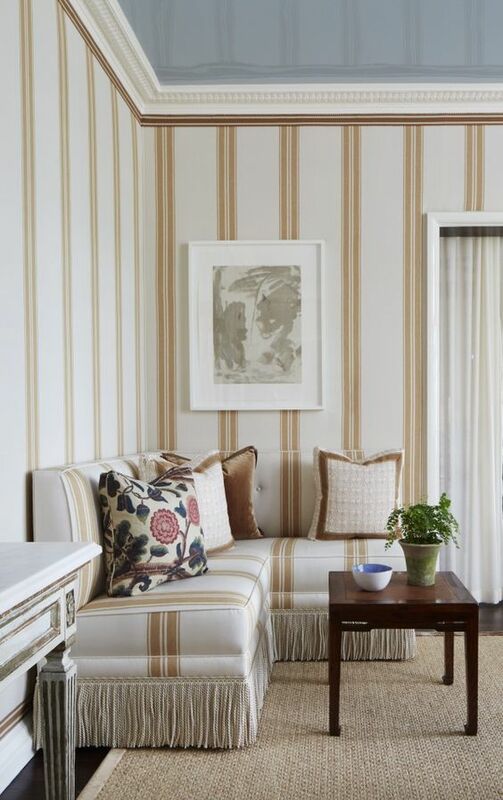 Image of Linsey Coral Harper's beautiful design via Dering Hall. Who doesn't want their child to reach for the stars! If you have spent any time at all on my blog, it is apparent that I like green. 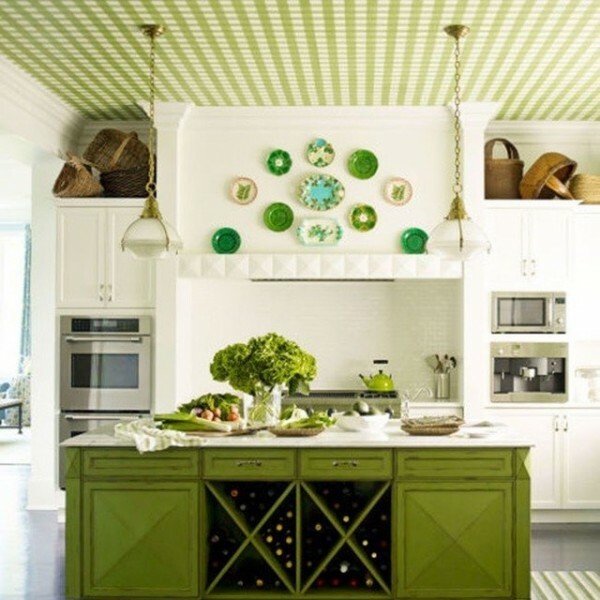 This fresh, apple green gingham is energizing in this kitchen! Of course if you were doing a major remodel or a new build the sky's the limit architecturally. Here I am giving you some ideas that you can use in a home that may need a little something extra to add interest or character. I cant't get enough of this nursery! The lattice on the ceiling would add a classic elegant texture to any room. One of many kits offered through Decorators Supply Company. The above treatment would be perfect for a square room. If you are looking to add some character to your current space, look up and consider the often forgotten fifth wall and make it fabulous!